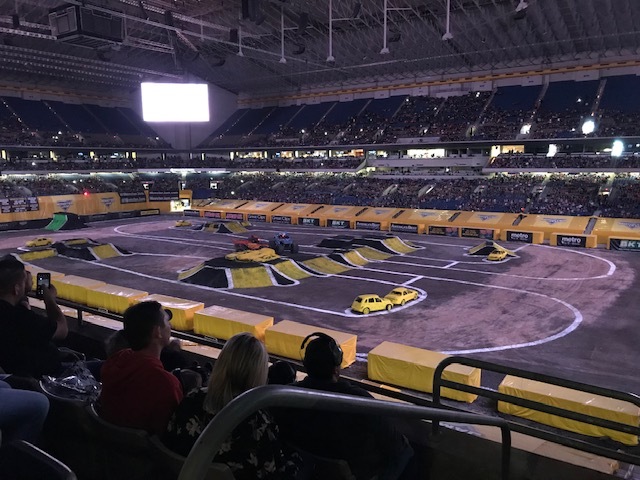 Once the commercials started coming on TV for Monster Jam in San Antonio there was no turning back for my 3.5 year old son. 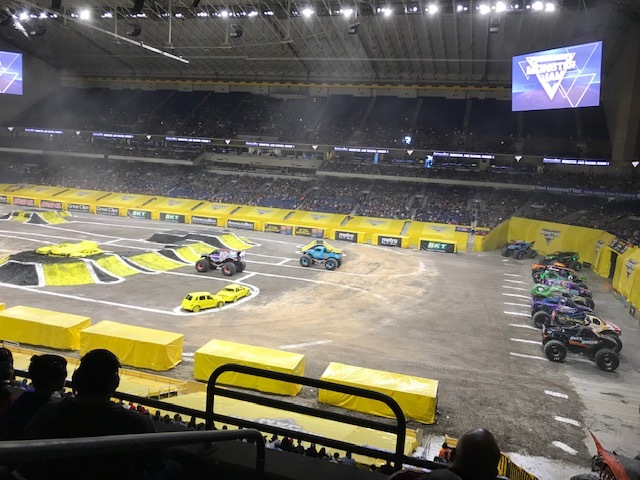 We got tickets for the Sunday afternoon show at the Alamodome in San Antonio, they had two options this year Saturday night or Sunday afternoon for Monster Jam 2019. Despite my wife's protest it turned into a full family event with her and my daughter included. This was my first Monster Jam or Monster Truck Rally...a first for all of us. I got tickets mid level which were around $40 each plus ticketing fees through ticket master. The seats were good, the trucks are so big all seats probably provided a decent view but I was happy with our spot plus they have the jumbo screens on for the Monster Jam. I have to admit the Monster trucks were pretty cool! They did three events: 1) The Race 2) Two Wheel Competition 3) Freestyle. 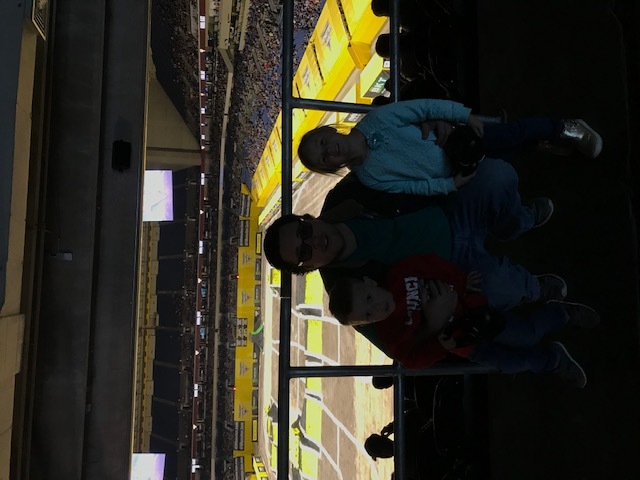 I found it all entertaining and my kids did too, you know how hard it is to keep the attention of a 3 and 5 year old but Monster Jam was up for the challenge. With Monster Trucks flying through the air, racing across the track and doing one of a kind tricks every one was engaged. It was amazing the things the trucks were doing for their size. Both kids loved it, cotton candy was $20 a pop which is a bit ridiculous but was in good spirit and had to be on the list once they saw the cool shark mask that came along with it. The Alamodome in San Antonio seemed like a great venue for the event given the size and ability to utilize the space. It was a good size crowd for the event from people of all age groups, parking was tight like for most events at the Alamodome but manageable (want to plan to get there early so don't miss the start while trying to park and walk in) Monster Jam ran for around 2.5 hours with a brief intermission after the 2nd of 3 events. One thing I would note about Monster Jam is the noise and sound level...it is very loud, even for me so if have young children you will probably want to bring along ear plugs or ear muffs to block the sound. Their is a slight smell some people mention but I didn't find it to be too bad or that noticeable. More so just the sound. Overall the San Antonio Monster Trucks did not disappoint. My son is still talking about it, mostly the "back flips" so I'm sure we will be doing it again as I will have no protest for going again next year and pretty sure my wife enjoyed it too, at least some what lol.